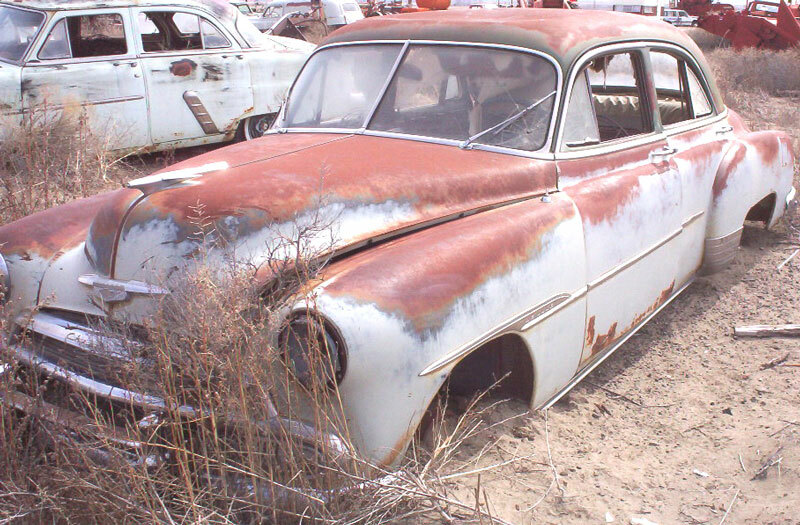 This gray 1951 Chevrolet Styleline Deluxe 4 door sedan is a very straight, solid Idaho desert car ready to be restored or customized. 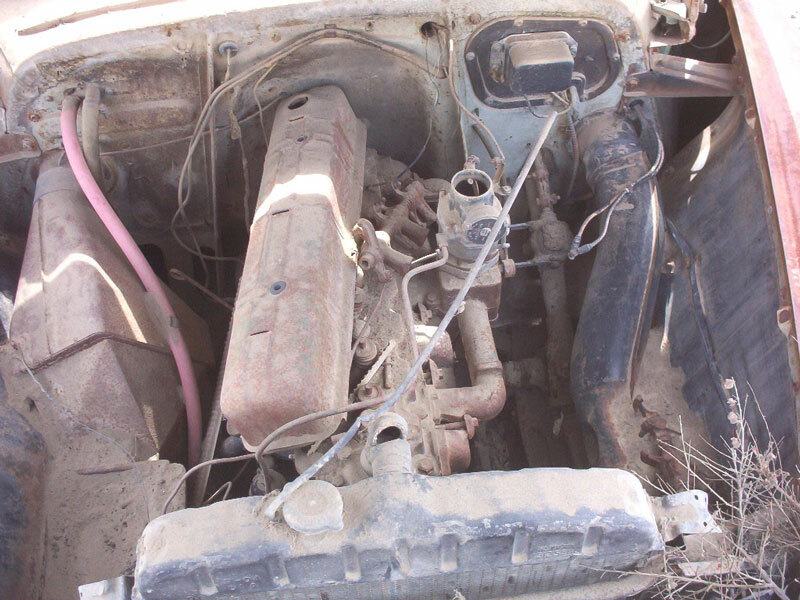 The car has been sitting on our farm in southern Idaho for 30 years and due to the extremely dry climate, the car is very solid. The sand it is sitting on is excellent for preserving auto bodies. The body is very straight. All the bumpers, grill and trim are good. The top is dented but certainly can be popped out and repaired. The left from curved glass is broken but the rest of the curved glass is good. There is a small dent in the back of the left quarter panel. The interior is all there except the radio, clock and rear seat bottom are missing. The floors are good. The larger optional Power Glide Six 235 CID straight 6 cylinder motor and 3 speed manual transmission are all there. The car must have had top end or valve problems because the valve cover and rocker assembly are off the car. The air cleaner is missing. The running condition is unknown. Our uncle who we got this collection from took all the wheels off his vehicles so nobody could take them. We will provide the car rolled and not on stock rims. The car comes with a title. 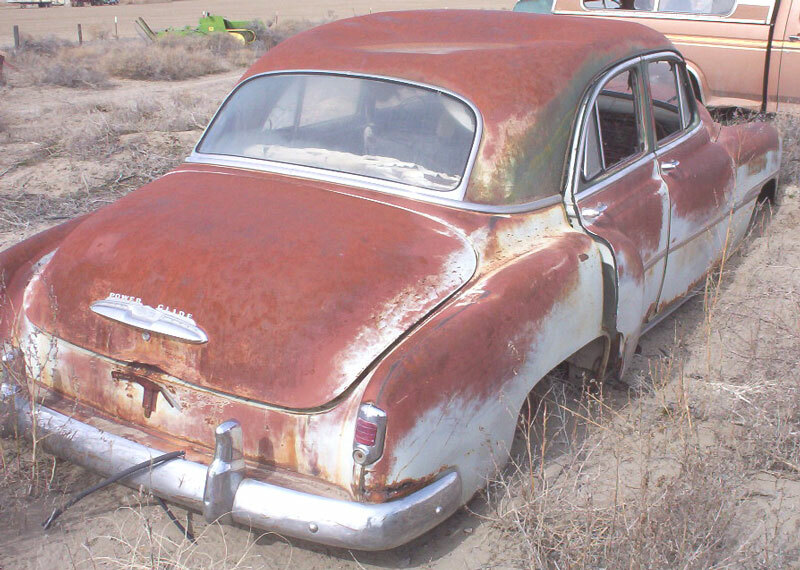 Don't miss this opportunity to restore a truly solid desert survivor. 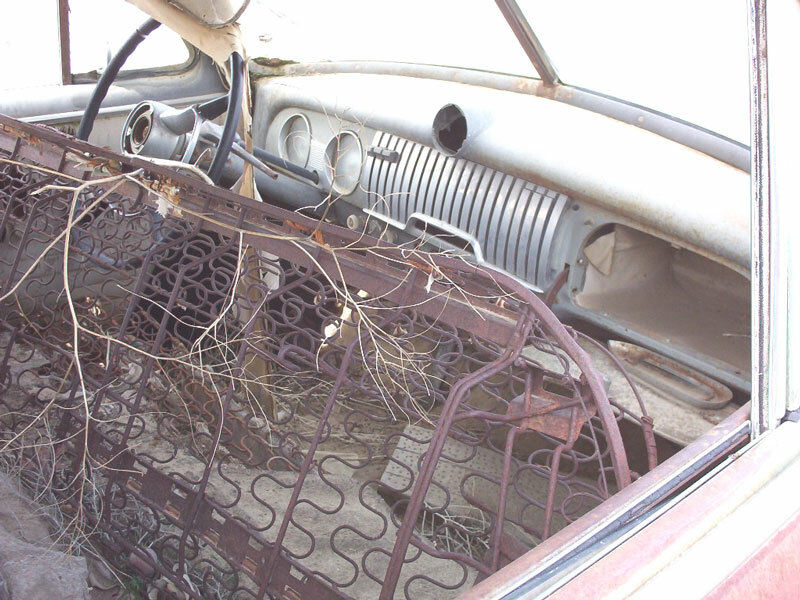 Please call (406) 318-0270 for details about this restorable classic 51 Chevy project car. For sale $3,000.